Following his successful military campaign, Fidel Castro replaced Fulgencio Batista as leader of Cuba on 9th January, 1959. In its first hundred days in office Castro's government passed several new laws. Rents were cut by up to 50 per cent for low wage earners; property owned by Batista and his ministers was confiscated; the telephone company was nationalized and the rates were reduced by 50 per cent; land was redistributed amongst the peasants (including the land owned by the Castro family); separate facilities for blacks and whites (swimming pools, beaches, hotels, cemeteries etc.) were abolished. Some of Castro's new laws also upset the United States. Much of the land given to the peasants was owned by corporations in the United States. So also was the telephone company that was nationalized. The United States government responded by telling Castro they would no longer be willing to supply the technology and technicians needed to run Cuba's economy. When this failed to change Castro's policies they reduced their orders for Cuban sugar. Castro refused to be intimidated by the United States and adopted even more aggressive policies towards them. In the summer of 1960 Castro nationalised United States property worth $850 million. He also negotiated a deal where by the Soviet Union and other communist countries in Eastern Europe agreed to purchase the sugar that the United States had refused to take. The Soviet Union also agreed to supply the weapons, technicians and machinery denied to Cuba by the United States. President Dwight Eisenhower was in a difficult situation. The more he attempted to punish Fidel Castro the closer he became to the Soviet Union. His main fear was that Cuba could eventually become a Soviet military base. To change course and attempt to win Castro's friendship with favourable trade deals was likely to be interpreted as a humiliating defeat for the United States. Instead Eisenhower announced that he would not buy any more sugar from Cuba. In April 1960 two CBS newsmen, Robert Taber and Richard Gibson run a full page ad in the New York Times in order to make a statement on the importance of the Cuban revolution. The authors received more than a thousand letters of people ready to take action. This included Simone de Beauvoir, Jean-Paul Sartre, Norman Mailer, Dan Wakefield, Truman Capote, John Henrik Clarke, Alan Sagner, James Baldwin, Julian Mayfield, John O. Killens, Robert F. Williams, Lawrence Ferlinghetti, Linus Pauling and Allen Ginsberg. It was later discovered that the Cuban government provided $3500 towards the cost of the newspaper advert. As a result of this advertisement the Fair Play for Cuba Committee (FPCC) was established. The main objective of the FPCC was for the United States to end its economic boycott of Cuba. Within six months, the FPCC had 7000 members in 27 "adult chapters" and 40 student councils on various college campuses with emerging student leaders such as Saul Landau and Robert Scheer. It was not long before the CIA was taking a close interest in the activities of the FPCC. Two days after the publication of the advert, William K. Harvey, head of the CIA's Cuban affairs, told FBI counterintelligence chief Sam Papich: “For your information, this Agency has derogatory information on all individuals listed in the attached advertisement.” Other documents show that James Jesus Angleton and Jane Roman were also taking a close interest in the activities of the FPCC. On April 27, 1961, J. Edgar Hoover himself ordered his agents to focus on pro-Castro activists, stating that the FPCC illustrated "the capacity of a nationality group organization to mobilize its efforts in such a situation so as to arrange demonstrations and influence public opinion.” Under orders from Hoover, Cartha DeLoach began a red-baiting campaign against the FPCC during May 1961. According to Bill Simpich: "As part of his counterintelligence responsibilities, DeLoach developed a Mass Media Program that included over 300 newspaper reporters, columnists, radio commentators, and television news investigators." In April, 1961, Dr. Enrique Lorenzo Luaces told Army Intelligence that Robert Taber introduced him to “Lt. Harvey Oswald, an arms expert” while having drinks at Sloppy Joe's Bar in Havana. Tony Varona later testified that he believed Lee Harvey Oswald was in Cuba during 1961. The FBI also decided to infiltrate the Fair Play for Cuba Committee. Its main spy was Victor Thomas Vicente (T-3245-S), who became the head of the Social Committee for the FPCC. In May, 1961, Vicente supplied the FBI with the FPCC mailing list. Released documents suggest that the FBI was concentrating on FPCC operatives in Dallas, Tampa and Miami. Athan G. Theoharis, professor of history at Marquette History and the author of The FBI and American Democracy (2004), has claimed the FBI carried out eight black bag jobs to the FPCC (in a black bag job, the documents are photographed rather than stolen, so that the target does not know that its privacy has been compromised). Robert Taber resigned from the FPCC in February, 1962. The following month he was interviewed by the CIA and FBI (19th March). He was never charged with any offence but according to Bill Simpich: "Many people claim that Taber had gone over to the CIA at this point. The real question is more subtle - it isn't whether he asked to be an informant, but whether his offer was ever accepted." Vincent T. Lee, president of the Tampa chapter, replaced Gibson as the head of the Fair Play for Cuba Committee. He was told that Gibson had intitially fled to Canada and that he arrived in Algeria in September 1962. Another document confirms that Richard Gibson offered to work for the government: "Gibson indicated that he was willing to publicly denounce the FPCC, say he was duped, that the FPCC is a tool of the Cuban government, that it is ineffective, and anyone still remaining loyal (to the FPCC) was just wasting his time, or any other tactic subsequently determined to be the most effective course of conduct. However, there was an undertone that he expected to be paid for any efforts in this regard. He stated that it was his personal opinion that it would be much more effective to use the FPCC as a cover for intelligence and counter-intelligence purposes, but when questioned for his specific thinking in this regard, he commented only that this could possibly be worked out later." The FPCC was active during the Cuban Missile Crisis. One demonstration on 27th October, 1962, drew about 2500 people. Over 3,500 attended the meeting organized by the San Francisco chapter. Vincent T. Lee went on a speaking tour for the month of April, 1963. Lee told the FPCC: "Victor Vicente will handle anything of importance that happens during his absence." Victor Thomas Vicente, who was the FBI spy at the FPCC, arranged for agents to enter the office on 21st April. On 26th May, 1963, Lee Harvey Oswald wrote to the Fair Play for Cuba Committee and proposed "renting a small office at my own expense for the purpose of forming a FPCC branch here in New Orleans". Three days later, without waiting for a reply, Oswald ordered 1,000 copies of a handbill from a local printers. It read: "Hands Off Cuba! Join the Fair Play for Cuba Committee, New Orleans Charter Member Branch, Free Literature, Lectures, Everyone Welcome!" Oswald also rented an office for the FPCC at 544 Camp Street. No one joined the FPCC in New Orleans but Oswald did send out two honorary membership cards to Gus Hall and Benjamin Davis, two senior members of the American Communist Party. According to Bill Simpich: "4/18/63 is the postmark date of the letter sent from Dallas by Oswald to the national FPCC office in New York. An FBI memo about this letter refers to “photographs of the below listed material made available by NY 3245-S* on 4/21/63...in the event any of this material is disseminated outside the bureau, caution should be exercised to protect the source, NY 3245-S*, and the communication should be classified “Confidential”". On 9th August, 1963, Lee Harvey Oswald was giving out his Fair Play for Cuba Committee leaflets when he became involved in a fight with Carlos Bringuier. Oswald was arrested and on 12th August, he was found guilty and fined $10. While in prison he was visited by FBI agent, John L. Quigley. Five days later Oswald debated the issue of Fidel Castro and Cuba with Bringuier on the Bill Stuckey Radio Show. Oswald explained: "The principals of thought of the Fair Play for Cuba consist of restoration of diplomatic trade and tourist relations with Cuba.... We are primarily interested in the attitude of the US government toward Cuba. And in that way we are striving to get the United States to adopt measures which would be more friendly toward the Cuban people and the new Cuban regime in that country." Following the assassination of John F. Kennedy the offices of the Fair Play for Cuba Committee were closed down (December, 1963). In his book The Kennedy Conspiracy (2002), Anthony Summers claims that released documents show that both the Central Intelligence Agency and Federal Bureau of Investigation penetrated the FPCC. Summers points out that the CIA side of the operation was directed by David Atlee Phillips and quotes CIA officer, Joseph Smith as saying: "We did everything we could to make sure it was not successful - to smear it... to penetrate it. I think Oswald may have been part of a penetration attempt." A few days later Oswald received a letter from V. T. Lee, the national director of the Fair Play for Cuba Organization, which spelled out the conditions under which he might organize his chapter. The letter was not overly encouraging. "I have just gone through our files and find that Louisiana seems somewhat restricted for Fair Play activities," V. T. Lee noted. ".... The south-east is a very difficult area to work because of our lack of contacts." He warned Oswald that in attempting this venture, he would come "under tremendous pressure." He suggested that Oswald acquire a post office box, a "good typewriter," access to a "mimeo machine" and "people who will carry out the million and one mechanical functions necessary to make it a going operation." He advised Oswald not to rent an office immediately. out that Oswald would be organizing the only Fair Play chapter in the southeast outside Tampa (which V. T. Lee had personally organized before joining the national office in New York). Oswald was not, however, prepared fully to accept V. T. Lee's advice. His purpose was not to recruit members and build a functioning Fair Play chapter in New Orleans, but to create a dossier of letters, documents and news clippings which would get him to Cuba. All his other activities that summer, Marina later explained, were merely "window dressing." In June he methodically set about documenting his record as a Fair Play for Cuba organizer. He ordered the necessary application forms and membership cards from the Mailing Service Company of New Orleans, and when the cards arrived, he had Marina forge the signature "A. J. Hidell" on them. "Hidell" was supposedly the chapter president. He then sent two "honorary" membership cards to Gus Hall and Ben Davis, both of whom were members of the Central Committee of the Communist Party of the United States. And he took a post office box in order to receive return correspondence. Dallas confidential informant T-2 advised that Lee H. Oswald of Dallas, Texas, was in contact with the Fair Play for Cuba Committee. According to T-2, Oswald had a placard around his neck reading, "Hands off Cuba Viva Fidel". On Monday, August 12, 1963, Lee and Carlos Bringuier appeared in Second Municipal Court at 1:00 p.m. The charges were dismissed against Bringuier, and Lee was fined $10.00. Marina Oswald confirmed that Lee actually wanted to be arrested. He wanted the exposure. He wanted to get the publicity as a pro-Castroite. She referred to this as "self-advertising." Marina was right, but the question still remains: Why? Lee was back handing out his Fair Play for Cuba Committee flyers on the streets of New Orleans on August 16. He had hired three men to help with distribution: odd, since he was nearly without funds for himself and his family. They stood in front of the International Trade Mart, whose director, Clay Shaw, would be charged with conspiracy to assassinate President Kennedy four years later by New Orleans District Attorney Jim Garrison. Somebody (probably Lee himself or, possibly, Carlos Bringuier) called WDSU-TV and other members of the New Orleans news media to announce that he was distributing the pro-Castro literature. More self-advertising. That evening's television news broadcast his activity, and the resulting bad publicity made it nearly impossible for him to obtain employment. (4) Lee Harvey Oswald, Carlos Bringuier and Ed Butler, Vice-President of the Information Council of the Americas, took part in a debate on Bill Slatter's radio show Conversation Carte Blanche in 1963. Lee Harvey Oswald: The principals of thought of the Fair Play for Cuba consist of restoration of diplomatic trade and tourist relations with Cuba. That is one of our main points. We are for that. I disagree that this situation regarding American-Cuban relations is very unpopular. We are in the minority surely. We are not particularly interested in what Cuban exiles or rightists members of rightist organizations have to say. We are primarily interested in the attitude of the US government toward Cuba. And in that way we are striving to get the United States to adopt measures which would be more friendly toward the Cuban people and the new Cuban regime in that country. We are not all communist controlled regardless of the fact that I have the experience of living in Russia, regardless of the fact that we have been investigated, regardless of those facts, the Fair Play for Cuba Committee is an independent organization not affiliated with any other organization. Our aims and our ideals are very clear and in the best keeping with American traditions of democracy. Carlos Bringuier: Do you agree with Fidel Castro when in his last speech of July 26th of this year he qualified President John F. Kennedy of the United States as a ruffian and a thief? Do you agree with Mr. Castro? Lee Harvey Oswald: I would not agree with that particular wording. However, I and the Fair Play for Cuba Committee do think that the United States Government through certain agencies, mainly the State Department and the C.I.A., has made monumental mistakes in its relations with Cuba. Mistakes which are pushing Cuba into the sphere of activity of let's say a very dogmatic communist country such as China. Bill Slatter: Mr. Oswald would you agree that when Castro first took power - would you agree that the United States was very friendly with Castro, that the people of this country had nothing but admiration for him, that they were very glad to see Batista thrown out? Lee Harvey Oswald: I would say that the activities of the United States government in regards to Batista were a manifestation of not so much support for Fidel Castro but rather a withdrawal of support from Batista. In other words we stopped armaments to Batista. What we should have been done was to take those armaments and drop them into the Sierra Maestra where Fidel Castro could have used them. As for public sentiment at that time, I think even before the revolution, there were rumblings of official comment and so forth from government officials er, against Fidel Castro. Ed Butler: You've never been to Cuba, of course, but why are the people of Cuba starving today? Ed Butler: Gentlemen I'm going to have to interrupt you. Our time is almost up. We've had three guests tonight on Conversation Carte Blanche, Bill Stuckey and I have been talking to Lee Harvey Oswald, Secretary of the New Orleans Chapter of the Fair Play for Cuba Committee, Ed Butler, Executive Vice-president of the Information Council of the Americas (INCA) and Carlos Bringuier, Cuban refugee. Thank you very much. J. Lee Rankin: Was there any connection with you or your organization or anyone from your organization that you know of with the acts of Lee Harvey Oswald in connection with the assassination of the President? Vincent T. Lee: With myself or organizationally, to the best of my knowledge, no; nor have I heard or know of any other person related to the organization in any way. Definitely there would be no connection between the act - acts of Lee Harvey Oswald. Whether or not he did anything in relation to the assassination, I don't know. As I understood, this is what is trying to be determined, and so forth, with this hearing. But whether he did or did not in relation, we had no - nothing to do with this. In fact I would feel very free to say that this particular act by anybody would be the worst possible thing that we could conceive of. Our idea was certainly not to engage in any activities of violence or illegal actions of any kind. We try very much to maintain a character of nonviolent participation in community affairs. In fact we have organizationally held, in which I directed and participated, demonstrations in which we made a very firm commitment to peaceful assembly and demonstration, and even when attacked physically did not respond to the attack but withheld and conducted ourselves peacefully and legally. 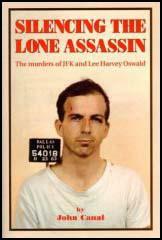 J. Lee Rankin: Was Lee Harvey Oswald a member of your organization? Vincent T. Lee: I have no record of this. You see, we never kept a membership file. We never at any time maintained a membership file. If somebody asked to join the organization, we made out a membership card for them and the card was sent to the person, but there was no duplicate and there was no special recording of it; it was just a simple formality, and we just sent them the card. And so there is no way that I can tell for sure that he was or he wasn't, because we never did maintain a file in this direction. J. Lee Rankin: Do you recall anything about his being a member, as far as your recollection? Vincent T. Lee: I am not sure on that score. I mean I don't know. It is entirely possible. It is entirely possible. But I can't say that I recall, you know, filling out a card for him. It is entirely possible. I may very well have. But as far as saying absolutely I remember, no, I don't, I can't say that, because I really don't remember, but I will say it is entirely possible. In fact I would assume from the communications - I would assume from the communications which were conducted with this gentleman that it is very likely that he asked to join, and our membership was the type of thing where it was open to anybody who asked to become a member, was given membership. We had no restrictions on membership. In fact we had one of the policy statements of the organization, its constitution and bylaws, was that it was open to all regardless of race, creed, color, religion, national origin or political opinion. It was open to anybody, anybody at all could join, and from the communications, since I was writing to him in connection with - he - was asking if he could start a chapter, well, I can't conceive of my writing to a nonmember in the direction of starting a chapter. It is very - I assume that he must have at some point along the line asked to join as a member and met the simple requirements of sending in a membership fee, which was really a subscription to any of our publications, and I assume that he must have been, otherwise I can't quite conceive of my having written to him about membership, starting a chapter, replying to such a question without having - the letters - evidently there would have been some communication saying, well, "You can't do it unless you join," and from the letters you showed me, which I assume are correct, he must have already at some point in the communications decided to join the organization. J. Lee Rankin: I call your attention to the first paragraph, Mr. Lee, of Exhibit No. 2. Vincent T. Lee: Oh, yes; evidently he did join, yes. I assumed that it was so, because I can't conceive of having written him about a chapter unless he had joined. One doesn't organizationally ask people to help the organization who are not members. 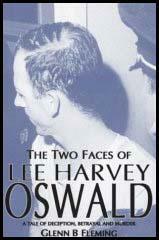 J. Lee Rankin: Do you know of any combination, conspiracy or common action of any kind that worked with Lee Harvey Oswald in connection with his acts concerning the assassination of President Kennedy? J. Lee Rankin: Do you know of any members of Fair Play for Cuba Committee in New Orleans that were working with Lee Harvey Oswald in connection with anything he did there for the committee? J. Lee Rankin: Do you know of any members of the Fair Play for Cuba Committee in Dallas? Vincent T. Lee: As I said, I never kept a membership file and I don't recall who is a member and who wouldn't be a member. I know we received many communications requesting literature of various types and things like that from all over the country, and I don't know of any state of the union which has not been sent some material at some time during the 3 1/2-year history of the organization. I would assume that somewhere, at some time, in Texas some people wrote in and received something, some communication, but as far as doing anything particularly about Dallas, no. The only thing I know about Dallas is what I read in the papers, which doesn't tell me too much. J. Lee Rankin: And that same situation about whether there were any members of the committee in New Orleans would be true, would it? Vincent T. Lee: Well, it is like I say. As for membership, this is an almost impossible situation in view of the fact that we didn't conduct a membership file or a duplicate membership card system and we just had mailing lists. In fact the mailing lists - even the mailing lists wouldn't tell very much, if anything, and that was just a case, anybody who thought somebody should receive a communication gave the name of somebody, in fact for now deceased Governor Lehman was on that list, Senators and Congressmen were placed on the mailing list, everybody and his brother who we thought should be - well, we thought some reason should receive the material which we sent out, we just sent material. It could be anybody. And like I say, stuff went to all over the country, just automatically, just did large mailings to every place we could think of, dream of or hope for in any of our activities of mailing. But as far as particularly there was never an active organization of the committee in these areas. We have had in the past - there was in existence in the committee a series of chapters, committee chapters, in various parts of the country, but there were never any chapters or active participation on a local level, to my knowledge, in either Texas or Louisiana at any time during the entire history of the organization. 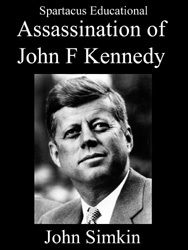 J. Lee Rankin: Is there any information, evidence or knowledge that you haven't given us that would bear upon this assassination of President Kennedy, that might help the Commission? Vincent T. Lee: No, sir; I have no information whatsoever. I have more than personal, more than just curiosity, and I hope very much to know the truth about this incident and hope very much that the truth is known, particularly for my own personal reasons, as well as any other reasons, because having been practically a victim of very serious slander in this direction, both by individuals and by elements of the press and various periodicals, I have very serious concern about developing the truth. I have been threatened. People have tried to break into my home, somehow connecting myself and my organizational activities, quite falsely, with the assassination - I would like to see the truth come up, because I am quite sure that any investigation will show that this was not true, that I didn't have any part of this. I am as much interested and probably more interested in my own way in having the facts presented than many of the average people on the street. I have a personal involvement in this. In July 1963, the agency infiltrated an informer from the New York chapter of the Fair Play for Cuba Committee, a Puerto Rican named Victor Thomas Vicente, into Cuba, probably through Mexico City. Vicente declined to settle there, as the CIA hoped he might, but he met both Castro and Che Guevara and was debriefed after he returned. Antiwar and solidarity activists came together to protect the Cuban revolution during the era of 1960-1963 - the era of the Bay of Pigs, the Cuban missile crisis, and the JFK assassination - in significant part due to organizations such as the Fair Play for Cuba Committee (FPCC). Professor (and CISPES activist) Van Gosse has done groundbreaking research to make a good argument that this period really was the birth of the New Left. The release in the last few years of thousands of CIA and FBI files reveals that this resistance was central in preventing a successful invasion of Cuba. Like most activist organizations, the FPCC had approximately a three-year life cycle - after that period, many of the core activists had returned to Cuba or have moved on to other pressing causes. In the period from 1960-1963, recently released documents show the powerful conflict between the forces of agitation (the FPCC and its allies) and the forces of provocation (the CIA, FBI and military). This conflict ended with a political landscape that made any future US invasion of Cuba impossible. This story is not founded on a theory about who killed JFK, but rather examines an overlooked conflict. An April 1960 New York Times advertisement paid for by the Cuban government led to the formation of the FPCC... The founder and first leader of the FPCC was Robert Taber, a CBS newsman who was befriended by the Santos Buch family when they learned that Taber was interested in telling the rebels' side of the story about Castro and his followers. With the help of the Santos Buch family, Taber obtained a rare exclusive interview with Fidel Castro while he was up in the mountains fighting in 1957. This interview became the basis of the CBS Special Report “Rebels of the Sierra Maestra: The Story of Cuba’s Jungle Fighters and his renowned book on the rebels: “M-26: Biography of a Revolution”. “M-26" refers to the aforementioned storming of Moncada on July 26, 1953. The advertisement caused a minor sensation in a number of different circles. The authors were flooded with more than a thousand letters of people ready to take action. Besides the timeliness of the appeal, it was signed by other leading lights in the literary community: Simone de Beauvoir, Jean-Paul Sartre, Norman Mailer, Dan Wakefield, even Truman Capote. African Americans were prominent in the call - besides newsman Richard Gibson of CBS, it was also signed by the historian John Henrik Clarke, novelists James Baldwin, Julian Mayfield and John O. Killens, and the soon-to-be-famous Southern activist Robert F. Williams. Other supporters in this period included Linus Pauling and Allen Ginsberg. The Socialist Workers Party and the Communist Party were able to work together within the FPCC, marking a break from a bad history going back to the Depression era when 20,000 Communist supporters marched through the streets to denounce their Trotskyist competitors. Berta Green of the SWP was able to provide deep experience from her organizing efforts in Detroit and more recently in New York City. Richard Gibson was a bridge to people like Robert Williams, Leroi Jones, journalist William Worthy and other black activists in making the equation between African American militance and solidarity with Castro and Cuba's largely black population. Within six months, the FPCC had 7000 members in 27 "adult chapters" and 40 student councils on various college campuses with emerging student leaders such as Saul Landau and Robert Scheer. When Fidel met Malcolm X and other community leaders at the Hotel Theresa in Harlem during the late summer of 1960, it was the social event of the year in New York for African Americans and radicals alike. During this month, Victor Vicente stated that Vincent Lee had telephonically contacted him and asked that the NYC FPCC take care of the month's rent of the FPCC office. Lee was on a speaking tour for the month of April, and assured his colleagues that Ed Linton would handle the office Monday-Wednesday, Lee’s wife Marjorie Speece would handle the office Thursday, and that the office would be closed on Friday. The FBI agents entered on April 21, 1963 - a Sunday. Lee's final words on the subject were that "Victor Vicente will handle anything of importance that happens during his absence." 4/18/63 is the postmark date of the letter sent from Dallas by Oswald to the national FPCC office in New York. An FBI memo about this letter refers to “photographs of the below listed material made available by NY 3245-S* on 4/21/63...in the event any of this material is disseminated outside the bureau, caution should be exercised to protect the source, NY 3245-S*, and the communication should be classified “Confidential”. The FPCC notes stating that 50 pieces of literature were forwarded to LHO on 4/19/63. Lee informed the FBI that the notation was written by him - but all the evidence is that he was out of town at the time. It was a meaningless and stupid falsehood, and he was probably covering for his ally Vicente in an absent-minded fashion. Hoover biographers Dr. Anthan G. Theoharis and John Stuart Cox have a copy of the FBI NY office’s “Surreptitious Entries” file, maintained “informally” in the SAC’s personal folder, which says that “the FBI did break into the FPCC offices during April, 1963". On April 21, 1963, Vicente advised that Lee H. Oswald of Dallas, Texas, was in contact with FPCC of New York City, at which time LHO advised that he passed out pamphlets for the FPCC.